That the White Model 706 tour bus is an eye catching design should surprise no-one. 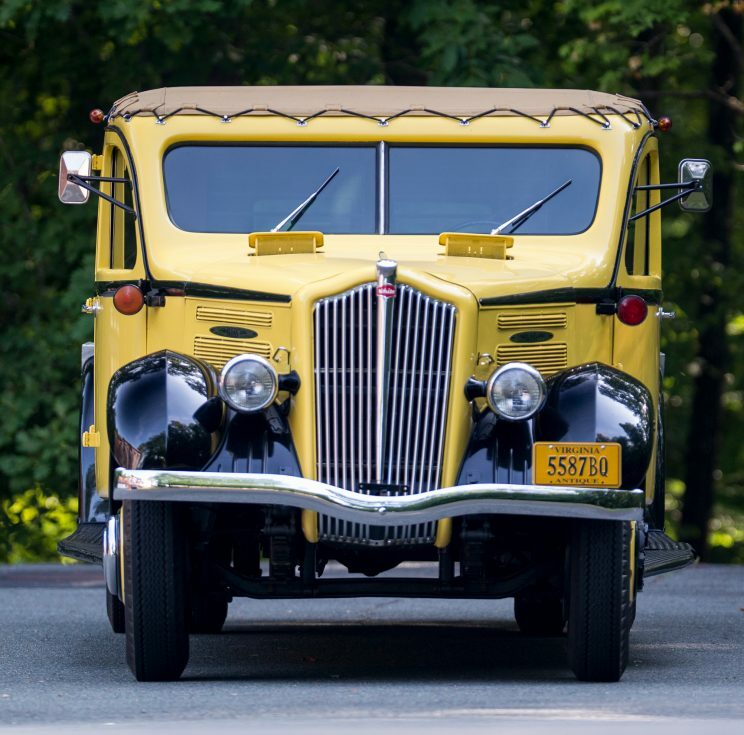 The Model 706 was designed by Ukrainian immigrant Alexis de Sakhnoffsky who had previously designed fashionable automobile coachwork in Europe before coming to the United States and creating the 1929 Cord L-29 along with other work for Auburn. Sakhnoffsky’s eye for line and form are evident in each of his designs and the White Model 706 is an excellent example of this. The Alexis de Sakhnoffsky designed White Model 706 tour bus is an eye catching automobile reflecting a natural blending of design elements. 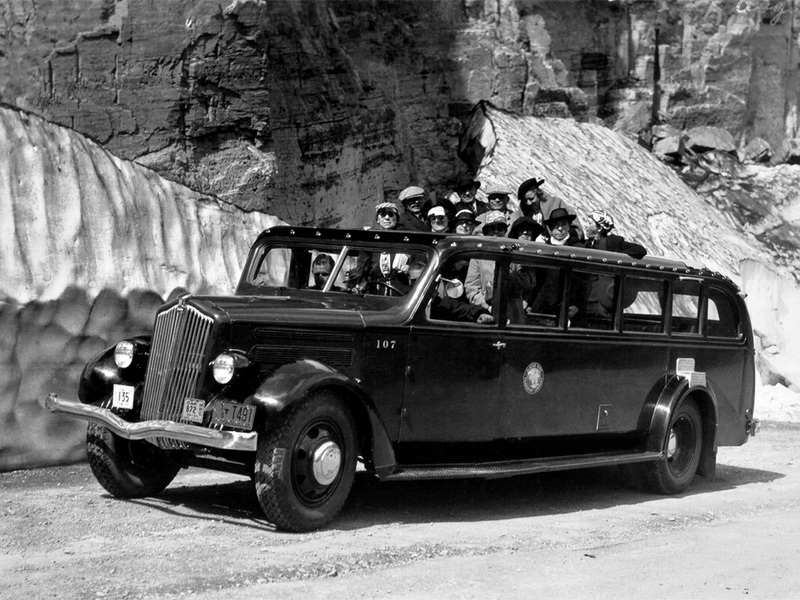 The Model 706 bus was purpose designed as a tour bus for North American national parks complete with removable canvas roof and large capacity rear trunk to carry blankets for tourists wanting to enjoy the panoramic views the open top offers in cold weather. 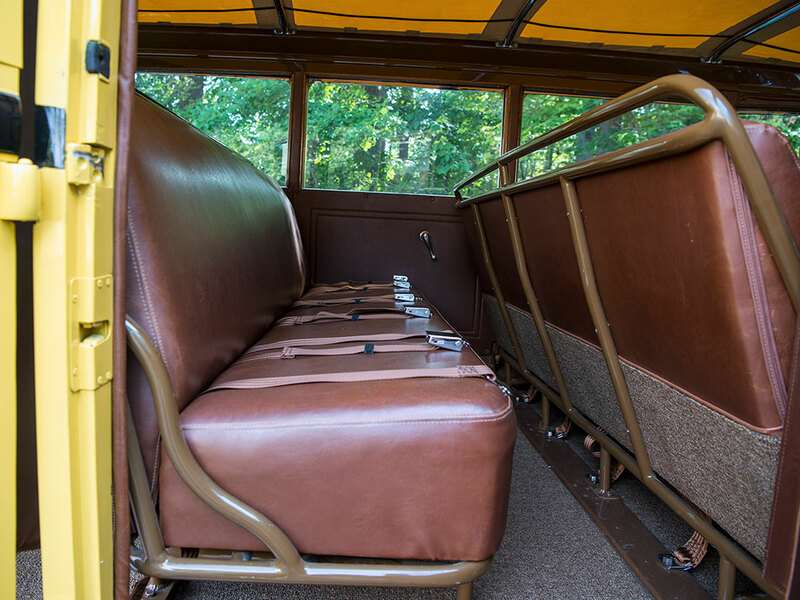 The rear of the Model 706 tour bus features a large capacity storage area which was used to carry blankets and other useful items. The White Model 706, in typical thirties truck style, featured a crash gearbox requiring the driver to be able to do a skillful double de-clutch gear change. If a driver has not mastered the art of the double de-clutch then there will be a noticeable clunk in changing a non synchromesh gear. 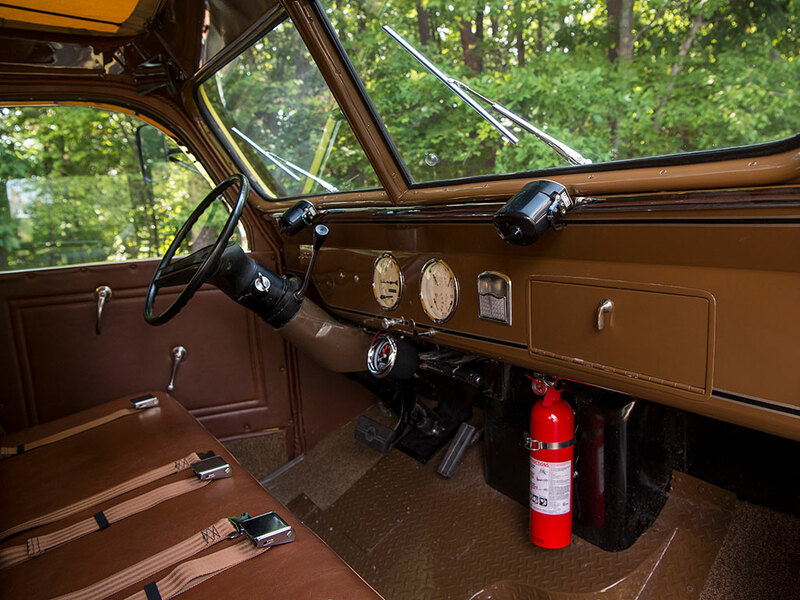 This is said to have led to the Model 706’s being dubbed “Gear Jammers” although it may also be because truck drivers of the period were commonly referred to as “gear jammers” and you needed a skilled driver to master a Model 706 transmission. Seen from the rear quarter the White Model 706 tour bus has a commanding presence. 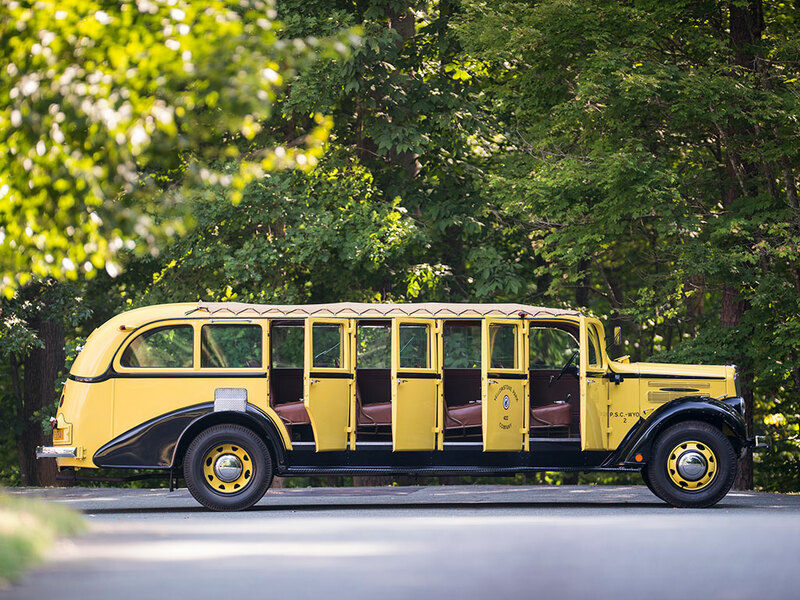 The White Model 706 tour bus model was created during the mid 1930’s and had to be made to negotiate the unmade roads that wound their way through parks like Yellowstone. Back in the thirties not everyone had a car, even in the United States, and not many car owners wanted to risk their car on those rough unmade roads. Alexis de Sakhnoffsky designed the Model 706 with this in mind. He had been an army officer before escaping the Bolshevik revolution and had first hand experience of what would be needed in a vehicle for use in rough conditions. 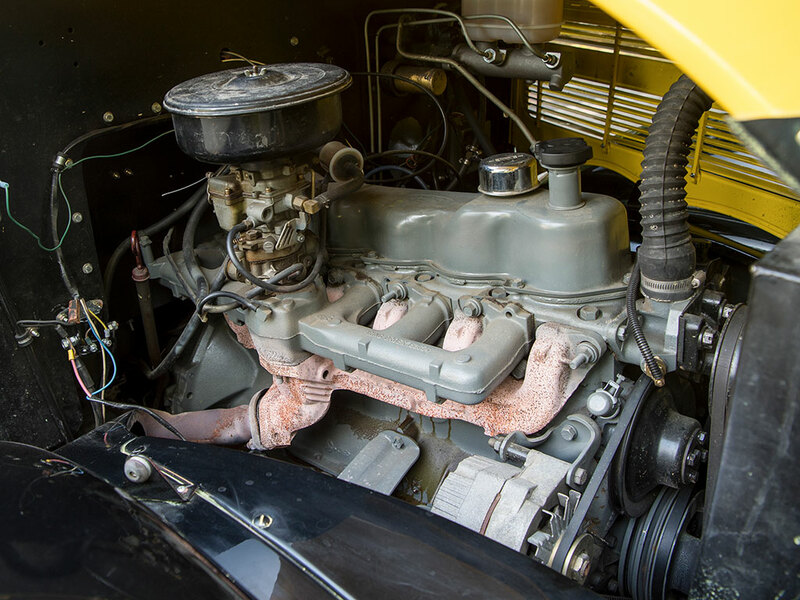 As can be immediately seen in this Model 706 the original crash gearbox and steering column are gone and have been replaced with modern components and an automatic transmission. Other than that the interior is largely unchanged and original. The White Model 706 buses were built to last and a good number of them still survive in working order. Most of the operational buses still in service have had significant modernization work done on them including replacement of the engine and transmission, and upgrading the brakes. The ex Yellowstone National Park bus in our pictures has been modernized with the installation of a 300-cubic inch Ford in-line six-cylinder engine, automatic transmission, power steering, a 1995 Ford F450 master cylinder with power brake booster, 12-volt electrical system, an electric fuel pump, and Autometer instrumentation. This has turned the old bus into an easy to drive and much safer vehicle able to be used on public highways as well as in park environments. The engine is a familiar Ford in-line six cylinder for which parts are available and which is easy to maintain. Having been given minimalist modernization this vehicle manages to both retain its thirties historical charm but still be a serviceable bus that could probably be used commercially. The bus seats fourteen passengers and is fitted with seat-belts for driver and occupant safety. Passenger seats are provided with lap seat-belts. 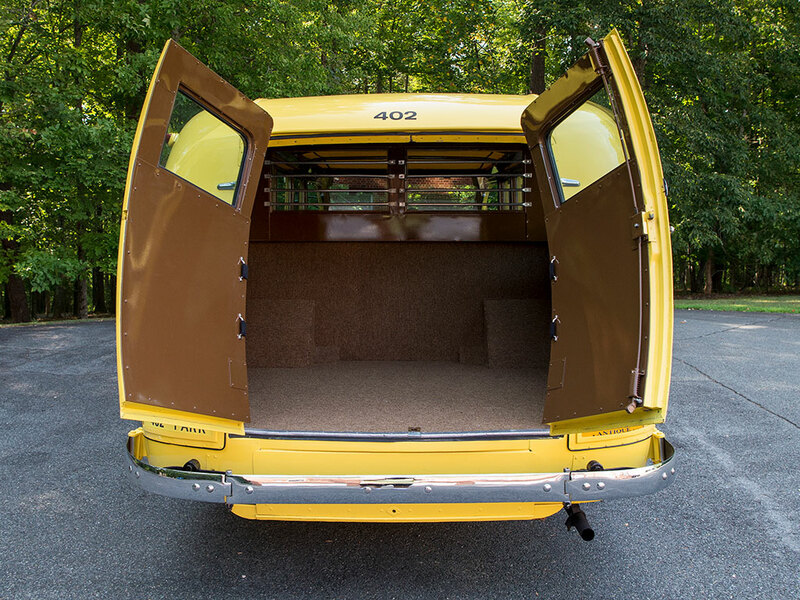 each bench seat accommodates up to four passengers. 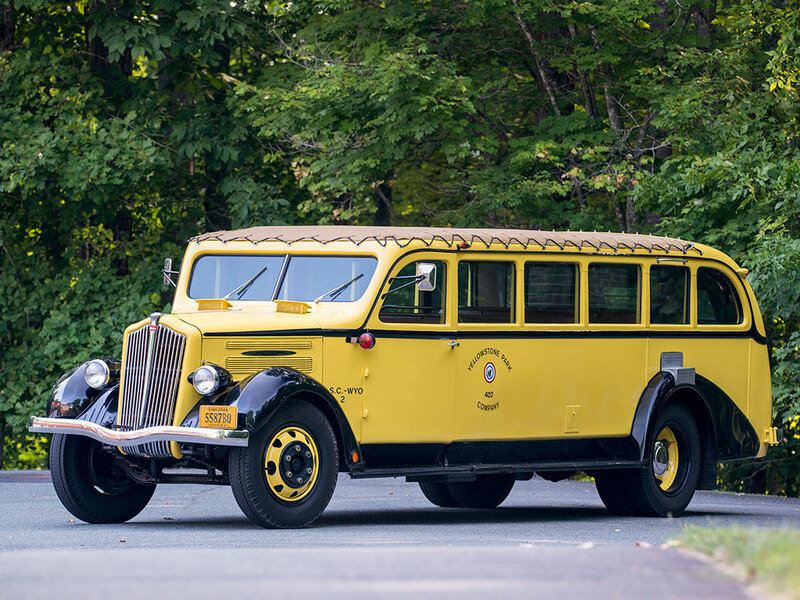 This 1937 White Model 706 tour bus is coming up for sale by RM Sotheby’s at their Hershey auction to be held from October 5th-6th, 2017, with this bus being offered on October 5th. You will find the sale page for this bus if you click here. The bus is expected to sell in the range USD$30,000 – $40,000. The bus has three banks of four seats behind the driver and additional passenger seats beside the driver making it a fourteen seater. 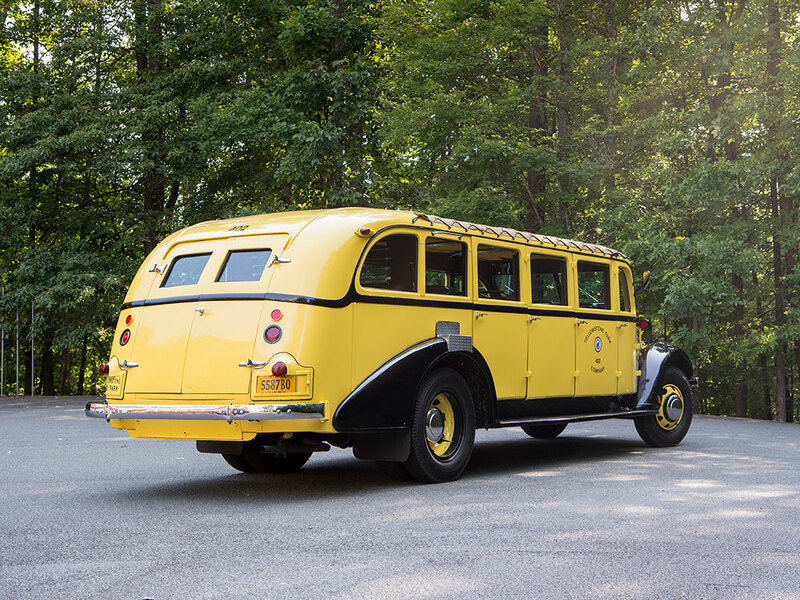 The White Model 706 tour bus earned itself a place in the history of North America’s national parks and, as modernized, this bus looks set to keep providing enjoyment into the foreseeable future. A White Model 706 tour bus back in what looks to be the thirties or early forties. (Picture courtesy car-reviews.com). (Photo Credit: Greg Keysar ©2017 Courtesy of RM Sotheby’s, except for last image).